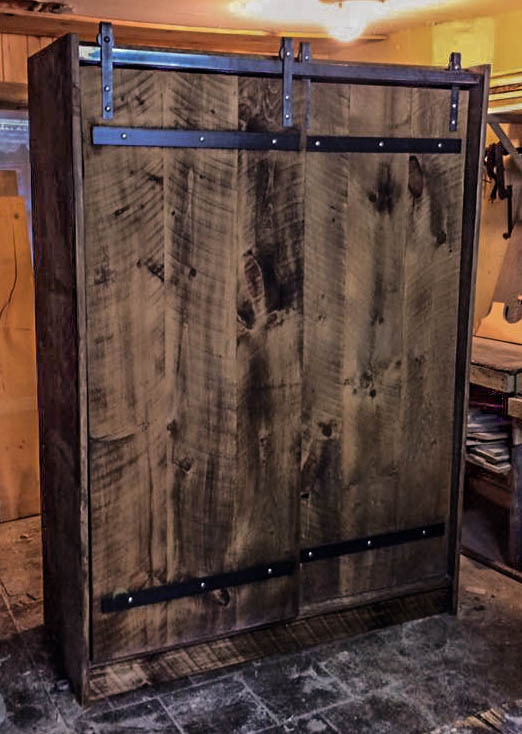 Single track sliding barndoor. Pine wood cut by round saw, finished with natural oils and pigments. 'Shaker side V' design. Mini track (4 ft) single sliding barndoor with pine wood. Ideal for crawl space. Simple design without 'Z'. Double track sliding bardoors on cabinet with metal flatbar accents. 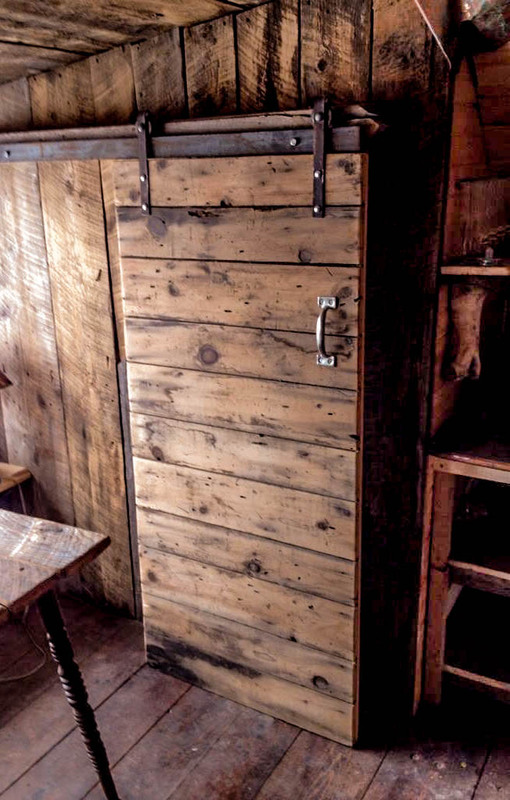 Pine wood ​finished with natural oils and pigments. 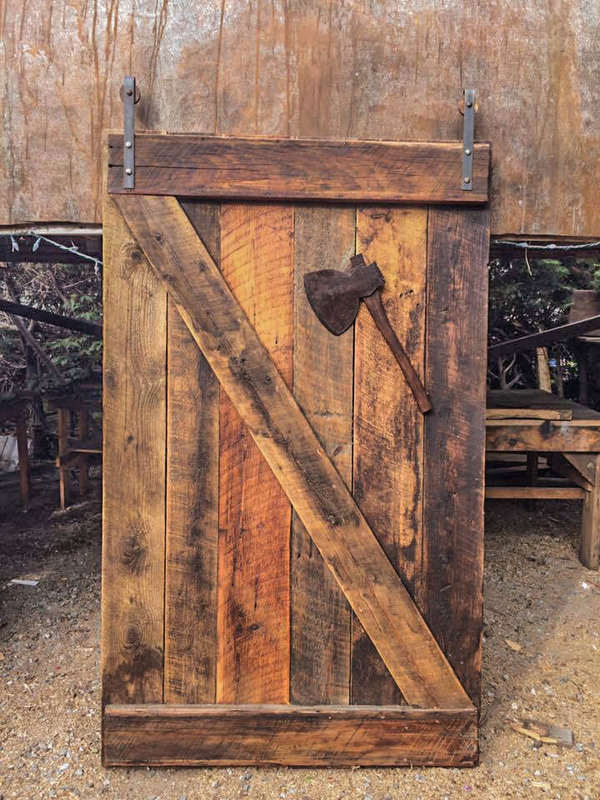 Authentic barnwood with 'Z' design. Finished with natural oil and pigments. 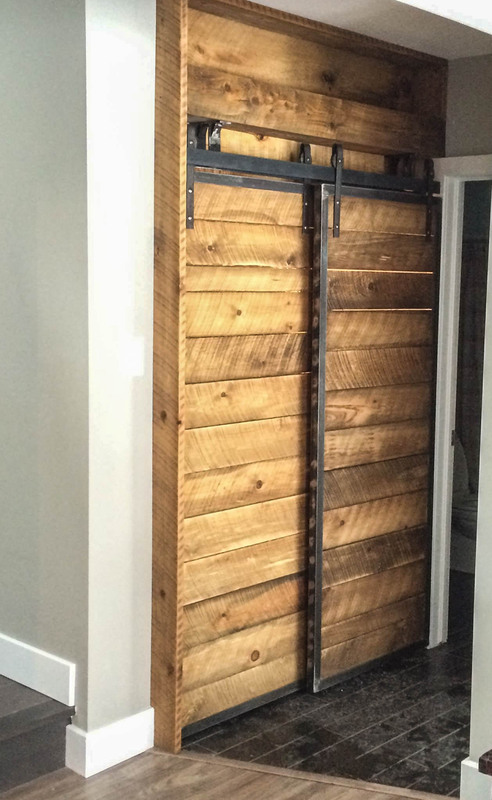 Single track sliding barndoor. 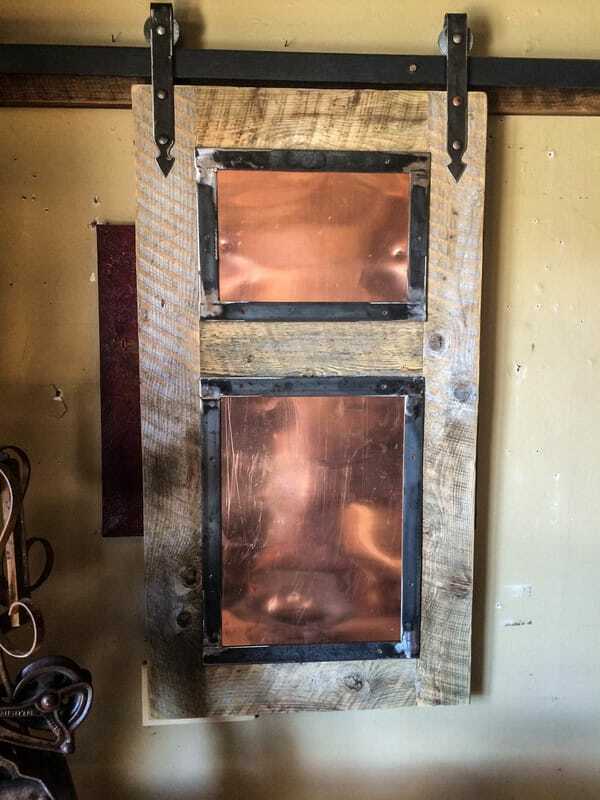 Pine wood with copper inserts and metal flatbar framing. Finished with natural wax. 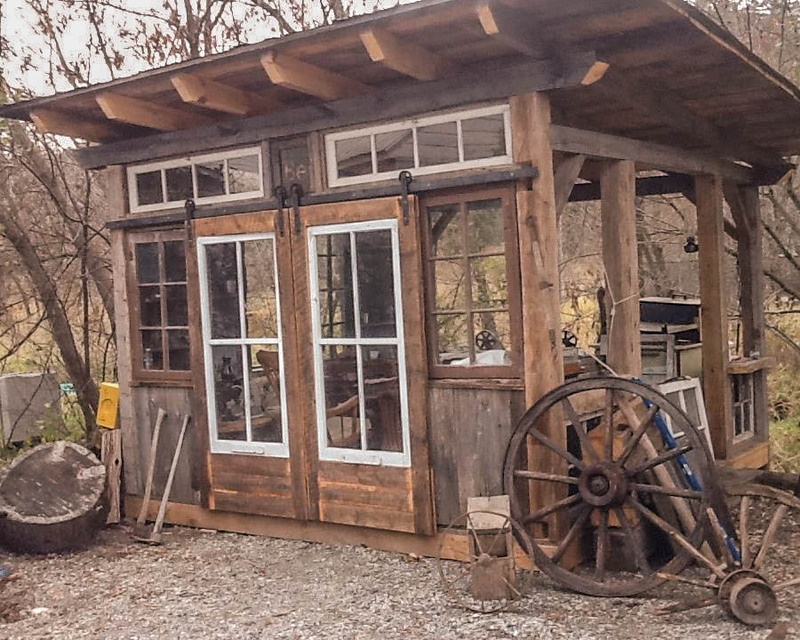 ​Single track sliding barndoor. 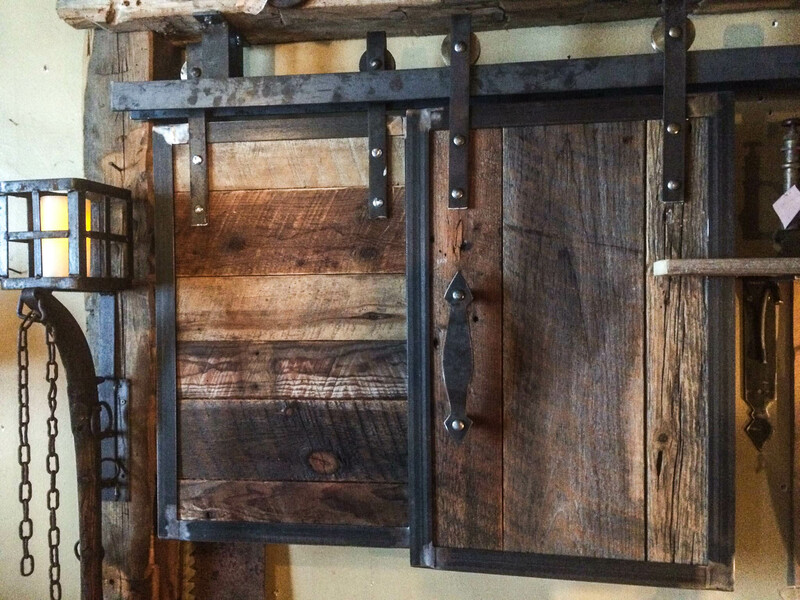 Authentic barnwood with custom steamy hardware. Finished with natural oil. 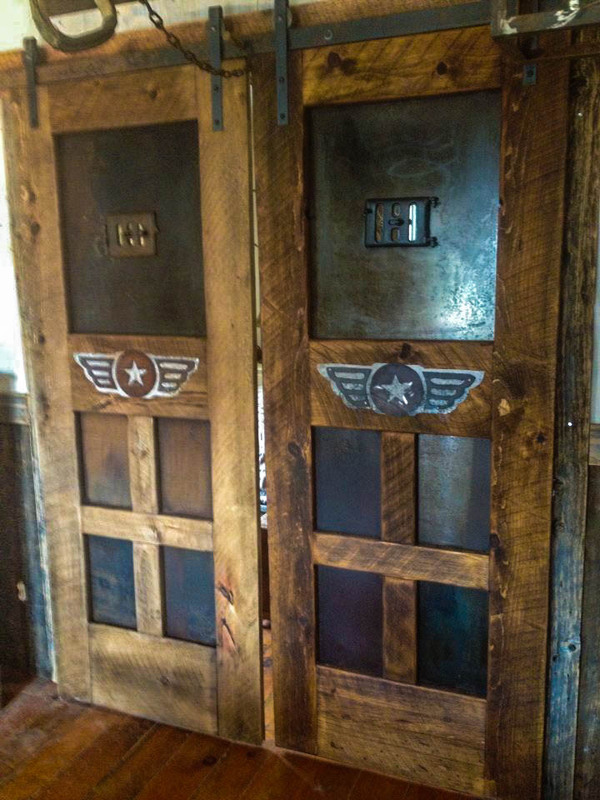 Single track sliding double barndoors. Pine wood with reclaimed metal inserts and plasma design logos. finished with natural oils and pigments. 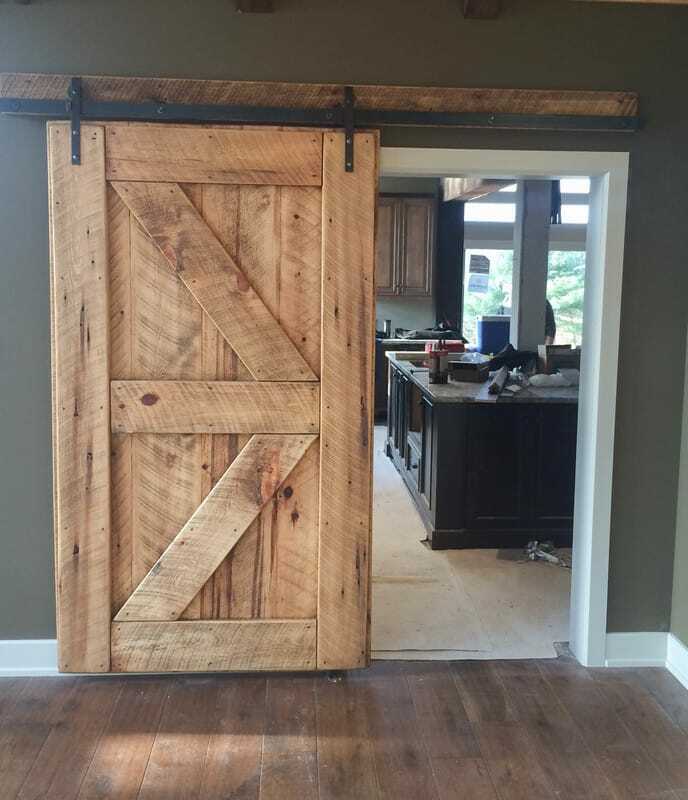 Single track sliding barndoors. Authentic barnwood with 'Z' design. Finished with natural oil. 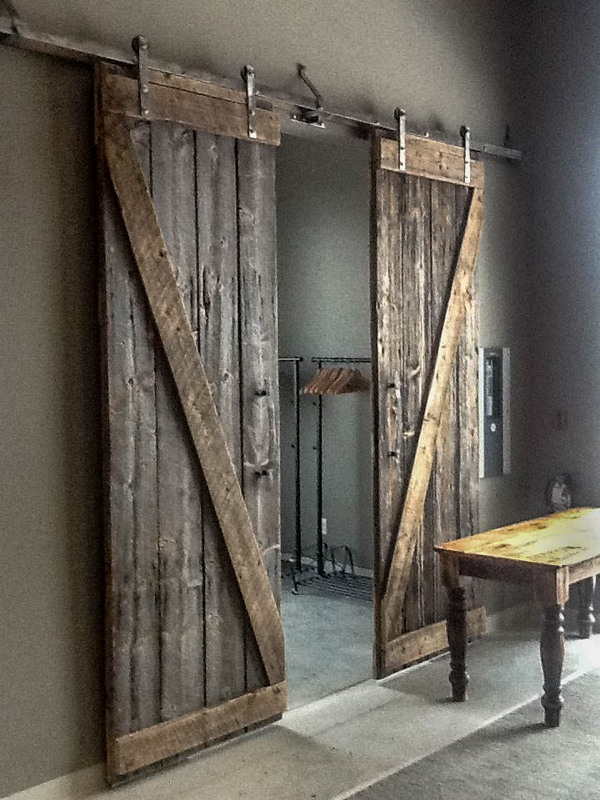 Single track sliding barndoors. Pine wood with vintage window inserts. Finished with natural oil. Double track sliding cupboard door. barnwood with metal frame. Double track sliding closet doors. Pine wood with metal frame. 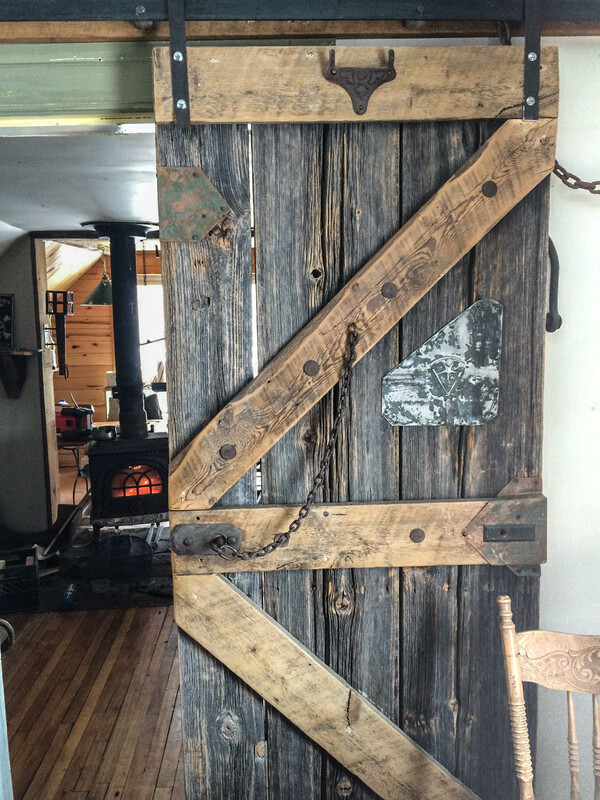 ​Single track sliding vintage door. Finished with natural oil.